Rats and other rodents carry diseases, such as rat-bite fever, Salmonellosis, and Leptospirosis, according to the U.S. Centers for Disease Control and Prevention. If you notice signs of rats in your home or business, such as droppings, gnawed wood, and chewed food containers, getting rid of them is crucial so that you can keep your home or office free of these diseases. The issue that comes into the picture here is that most people put out rat traps and think that their problems will be over soon. 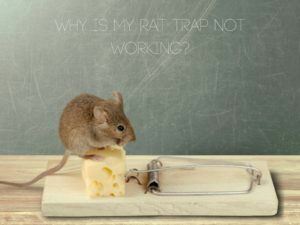 However, your infestation will not go away after setting out a few traps, Here are a few reasons rat traps will not get the job done. Rats are crafty critters. Some rats can figure out how to get the bait off of the trap without setting off the trap. Other rats know how to set off the trap without getting caught and then get the bait when the trap has already tripped. Both of these possibilities mean that you might go through a lot of bait and never catch a rat. Some rat traps aren’t effective because they aren’t placed in the correct locations. Even if you think that you found the perfect spot, the rat might notice something different and avoid the area entirely. If the rat is smart enough to avoid your traps, you will end up with rat droppings in new areas because of this avoidance. Even if you catch a rat or two, there is a good chance that there are much more waiting in the shadows. Rats like to breed often and multiply at an alarming rate. Traps won’t control the breeding, and they will not likely catch the offsping. Because rat traps can be so ineffective, you need to get professional help as soon as you know that you have a rodent problem. 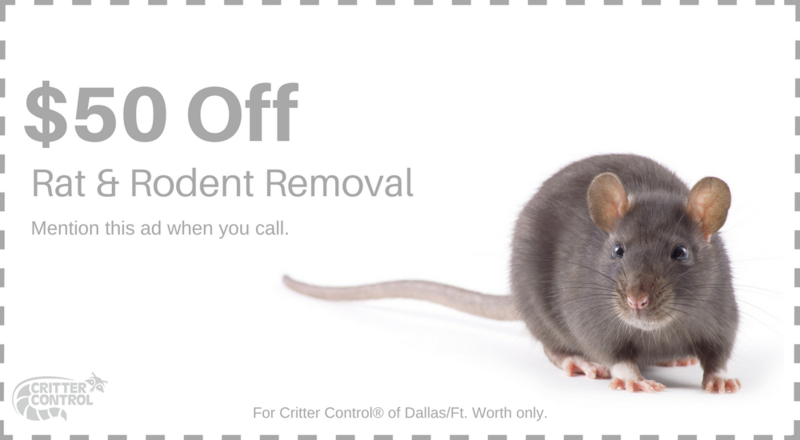 The experts at Critter Control® Ft. Worth can evaluate your situation, explain the options, and get the rats out. Contact us today at 469.805.6267 to schedule your free consultation.